Different types of gold investments will forever be the primary dollar’s hedge. When thinking about direct ownership, investing in the metal itself, mutual funds, or gold mining stock renders the most unequivocal offset to the greenback. It’s only a matter of time before the dollar will be grounded and when that occurs gold’s true ascent will begin with nothing else to stop it. At the present time, though, one can only impress the formidable likelihood of gold’s outlook. Investors, or even the general public, should not be swayed into thinking that the conventional American blue chip industry is still the authentic potential for profits in the coming years or decades. The world market no longer is built around that worn out model. Future growth is going to be steered with the yellow metal. Whether or not we may think we are functioning off a gold standard or not, the solid value of gold as the foundation for real value will by no means be altered. Look as far back as you like in history and you will find that it has always been like this and there has been nothing yet that has changed that fact. So, in effect, we actually subsist on a gold standard even though fiat is what our government will have us believing is the most popular. Below you will find seven different types of gold investments. One of them will work for you. The history of gold coins dates back to 550BC when King Croesus struck the first gold coins ever. The great advantage to coins and bars is that they give the individual investor an appealing manner in which to invest in small amounts of gold. There are many gold bullion coins from which investors may select which are issued by governments throughout the world. These coins can be used as sound currency for their face value in lieu of their gold content within their country of issue. On the flip-side, the fine gold content found within bullion coins is how they will be valued in the market. In addition, there will be a premium or mark-up which fluctuates between coins and dealers. Smaller denominations tend to have more elevated premiums. Bullion coins may vary in size from 1/20 ounce to 1000 grams, although the most familiar weights (in troy ounces of fine gold content) are 1/20, 1/10, 1/4, 1/2 and 1 ounce. It is essential not to confuse bullion coins with commemorative or numismatic coins, whose value depends on their rarity, design and finish along with their fine gold content. History is very clear. Intense and meritorious wars were battled to ravage gold reserves. What was (and still is) behind the enchantment with gold? The response is quite simple: The only real money that exists is gold and its financial worth cannot be altered or government-fiat manipulated which was precisely why the world stepped off the gold standard to begin with. The value of gold will ascend built purely on the forces of supply and demand. The downside, though, to possessing gold is that it is apt to trade with a wide stretch between bid and ask prices. A fast profit should not be anticipated. Basically, you will purchase at retail and sell at wholesale so gold prices should have risen quite a bit so that a profit can be received. In other words, the tendency should not be to regard the yellow metal as a speculative asset, but rather a defensive asset for holding value. We all know that the dollar’s life span is just about over and that the wisest place to preserve value is with gold, but through numismatic coins. The study by Penn State University for the Joint Committee on Taxation of the House and the Senate demonstrated that U.S. rare coins were a superior hedge over gold and generated better investment profits. It was actually this study which provided the investment foundation for legislation that was passed by Congress and which provided for the addition of gold in Individual Retirement Accounts. These were the extraordinary determinations about rare coins. They stood the test of time as being a more valuable inflation hedge when paired against gold bullion. Even in the midst of chaotic financial times when the price of gold bullion was falling (i.e. 1988-1990), rare coins went up more than 100% while the price of gold bullion fell from $500 to $360. They were a more preferable hedge than gold bullion against descending prices for stocks and bonds. Rare coin profits outdid the return on gold bullion in the former’s three best years (100% greater). According to most financial consultants, the percentage of tangible discretionary funds should be between 10% and 20% for a well-balanced portfolio. Even the effects of inflation have not been able to affect rare U.S. coins. Rare U.S. coins have proven to be an excellent hedge against those outcomes. In the past three decades, rare U.S. coins have provided strong long-term price advantages in practically every period of economic evolution. They can also be very valuable in decreasing the volatility of an investment portfolio across the board because, normally, they are inclined to shift contrary to paper investment instruments. So, in effect, sleepless nights about financial woes are not a worry to the investor who invests in rare U.S. coins. In addition, with the efficiency of the independent coin grading services – Professional Coin Grading Service (PCGS) and Numismatic Guaranty Corporation (NGC) – rare U.S. coins have developed into the most liquid collectibles of all. A normal day of trading sees thousands of certified rare U.S. coins exchanged on the Dealer Trading Network. Some great rare coin investments are the $20 St. Gaudens Gold, the $20 Liberty Gold, and the $10 Indian Head Gold. There are different weights and sizes of gold bars. They can be as small as one gram to 400 troy ounces which is the equivalent of an internationally traded London Good Delivery bar. A small bar is considered one that weighs 1000g or less. The statistics, as reported by Gold Bars Worldwide, is that there are 110 officially recognized bar manufacturers and brands in 27 political territories. A total of more than 400 types of standard gold bars are produced between them, all of which are comprised on the whole of a minimum of 99.5% fine gold. 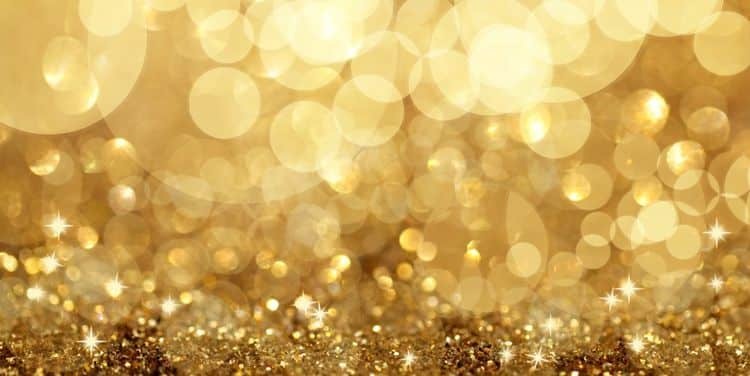 So that your gold jewelry is considered investment-grade, it should contain a high percentage of pure gold because the higher the number of karats, the more gold the article contains. If you are looking to invest in jewelry, choose 24 karat (pure gold) or 18 karat (75 percent gold). This gold is comparatively pliable and is characteristically used in necklaces, earrings, or brooches, which are less liable to be damaged against hard areas. Jewelry that may make contact with rigid surfaces, such as rings, bracelets, and anklets, is frequently 12 to 14 karats which means there is less gold in them. You might want to look into jewelry from a distinguished designer such as Cartier or Tiffany, as well as antique gold jewelry which is exceptionally valuable. Due to their prestige, superior craftsmanship, unique design and/or age, these items carry value well above the price of gold they are comprised of. Online investments have gained popularity over the years as a safe and quick means of obtaining gold. Investors want convenient and immediate access to gold. This is a sector on the rise with providers ranging from online dealers to exchanges that offer a range of options for trading, delivery or storage of bars and coins. Those companies in which one can trust in furnish investors with security, insurance, and accessibility. These Internet providers also offer economical options with 24 hour availability to exchange 100% physical gold. As long as the investor has done the research necessary to ensure these features, internet options are just as safe as any one-to-one exchange in person. What is the difference between a normal ETF and a commodity ETF? Commodity ETFs are comprised of futures or asset-backed contracts which symbolize the commodity and will track the performance of that specific product. The tangible good is not in the ETF. For instance, when you cash in a gold ETF, you do not obtain the precious metal in any form. In its place, an investor receives the corresponding equivalence in cash. A. The Rationale behind a Gold ETF? With a gold exchange traded fund, the investor will have the ability to track and mirror the gold price. Remember, the goal is not to own the metal but rather to increase exposure to the performance of gold. As history as demonstrated, gold’s growth ability is more apt to increase when the dollar debilitates. This means that to have a well-balanced portfolio, buying a gold ETF may aid in hedging that vulnerability. If your exposure is to the upside, selling a gold ETF can be a comfort. On the other hand, if the investor has done his research thus concluding to short gold, trading an inverse gold ETF may be a quick means of putting on that position. And while gold is a commodity ETF, it can also act as an industry ETF. If, for instance, an investor wants to gain exposure to the gold mining industry, owning a gold ETF may be an investment tactic that can turn into a portfolio enhancement. While there are distinct gold-mining stocks like Barrick Gold (ABX) and precious metals indexes like the XAU, a gold ETF may be a more manageable and varied manner in which to enter an investment in the gold mining industry. Exchange traded funds come with many advantages which is why they are considered a trustworthy instrument to keep close at hand. Gold ETFs can also be used as a hedge for regional risk or to gain foreign exposure. One of the obvious flaws with ETFs is that you do not own the metal itself. Gold ETFs are made up of gold contracts and derivatives and can only be exchanged for cash. NO GOLD! Whereas ETFs have numerous tax benefits, a gold ETF may be a shortcoming. In some countries, gold ETFs do not have the same capital gain tax breaks that traditional exchange traded funds include. Always do your research! In many stock exchanges world-wide you will find gold-backed Exchange Traded Funds (ETFs) and Exchange Traded Commodities (ETCs). Both of these regulated financial products are intended to afford investors with exposure to the price performance of spot gold bullion and many of the currently accessible products are sustained by gold bullion held in secure vaults. This is where they differ from derivative-based products that track the gold price, but which are not entirely-backed by physical gold bullion. SPDR Gold Shares (GLD) is the biggest of the physical gold bullion backed ETFs. Begun in 2004, GLD was the first US experience with a gold ETF. Its primary listing is on the NYSE Arca and was later cross-listed on the Singapore Stock Exchange, the Hong Kong Stock Exchange, Bolsa Mexicana de Valores and the Tokyo Stock Exchange. If your goal does not include taking possession of the metal itself, then a gold ETF will provide a relatively economical and safe manner in which to partake in the gold bullion market. As the investor expands his knowledge about the importance of gold within a balanced investment, he will also understand how ETFs have played a major role in establishing gold as an exclusive asset class. Subsequent to the GLD launch, many more commodity ETFs have been put in place highlighting the emergent attractiveness of these instruments. These types of contracts are binding in that they obligate the investor to make or take delivery of a particular amount and purity of gold, on a certain date at a price which has been previously agreed upon. The investor pays a much smaller amount than what the price of the gold underlying the contract is equivalent to. And this is where leveraging comes into play. With gold futures, investors can leverage their investment drastically. But this can be a double-edged sword…great profits can be produced but great losses must be prepared for also. The market’s view of what the carrying costs ought to be at a given time is the decisive determining issue in futures prices. The gold futures fee is typically more than the gold spot price. Traders deal in futures contracts on regulated commodity exchanges. Tradable commodity indices, which are based on commodity futures, all contain a small allocation to gold. With gold options, as opposed to gold futures, the holder has the right, but not the obligation, to buy (‘call’ option) or sell (‘put’ option) a particular amount of gold, at a fixed price, by an agreed upon date. A superior strike price will induce a less expensive call option and a more expensive put option. Purchasing gold options can give the holder considerable leverage similar to futures contracts. In other words, where the strike price is not attained, the investor is not required to exercise the option. At that point, loss is equivalent only to the premium paid for the option. Brokers can trade both futures and options just like shares. This is comparable to holding gold in a safety deposit box at the bank. It is actually the best way to secure your physical gold investment. An acknowledged bullion dealer or depository owns and manages the gold that is stored in their vaults. How are bars and coins classified? They are numbered by hallmark, weight, and fineness. The investor pays for the price of gold as well as the custodian for storage and insurance to have the gold allocated to him. With an allocated account, the individual enjoys complete gold ownership. Not only is the investor full owner of the gold but also controls how the gold is utilized, if applicable. The bullion dealer or depository that owns the vault where the gold is deposited does not have permission to trade, lease or lend the bars unless the investor agrees. When you open an unallocated account you do not have specific bars assigned to you. This changes if the investor chooses to take delivery of the gold. Normally, the unallocated account had as one of its major benefits no storage or insurance charges because the bank retains the right to do whatever is most beneficial with the gold at whatever time. Presently the gold lease rate is negative in real terms which are why unallocated accounts are also being burdened with costs. Of course, investors are subject to the creditworthiness of the bank or dealer rendering the service in the same way as they would be with any other kind of account. As a general rule, bullion banks do not deal in quantities less than 1000 ounces. If your investment is less than 1000 ounces, then you may invest in Gold Pool Accounts which offer a defined, unsegmented interest in a Gold accounts pool of gold. The investor can invest with less than one ounce with this option. Other options include electronic ‘currencies’ which are available and affixed to gold bullion in allocated depositories. This is probably the best (and cost-effective) manner in which to buy and sell gold and use as currency. An advantage with this choice is that transactions can be upheld anywhere in the world. The Gold Accumulation Plan (GAP) uses the same philosophy as a common savings plan. The individual sets aside a certain amount of gold each month. The fixed sum then buys gold every trading day in that month. The established monthly sums can be small and purchases are not subject to the premium usually charged on small bars or coins. Exposure to short term variations in price is contained because small amounts of gold are bought over a long period of time. Normally, a contract term lasts a year during which the investor may get his gold in the form of bullion bars or coins and, if it is an option, in the form of jewelry. Receiving cash is also an alternative. By way of gold mining stocks, the individual can gain exposure to gold and the chance for out-performance. The gold mining sector is large and liquid with more than 300 gold mining companies listed and publicly traded on various US stock exchanges. The sector is capitalized at over US $220 billion internationally. Capitalizations range from between US $50 – US $300 million to the large cap gold mining stocks of over US $10 billion. If investing in other forms of physical gold is what you would like then investing in gold mining stocks is a reasonable replacement. The value of the stocks is steered considerably by the price of gold. Furthermore, the stock price is also affected by the mines, projects, reserves of gold below ground, or mining royalty income streams. There is a difference in how gold mining stocks track the gold price. It is not the same as physical bullion, gold ETFs or gold futures. These stocks are also a possible source of excess return or alpha that may be over and above the gold profit. Several factors are implicated in the pricing and valuation of gold equities. From the Civil War until 1933, the U.S. Treasury issued gold certificates. These were denominated in dollars and these certificates constituted part of the gold standard. Individuals could exchange their gold certificates for an equal value of gold. Silver certificates later replaced gold certificates for a short time before Federal Reserve notes came into the picture. These certificates are now regarded as collectibles. In modern day, gold certificates offer investors a way of holding gold without having it in one’s possession. These certificates are issued in countries such as Germany. The paper validates an individual’s ownership while the gold stays in the bank. Investors save on storage and have no personal security problems. Another benefit is the liquidity acquired in having the ability to sell portions of the holdings by merely calling the bank. The Perth Mint runs a certificate program that is guaranteed by the Western Australian government. It is administered in other countries as well. There have been many problems since the end of the gold standard. When Pres. Nixon abolished it, he may have seen the move as a means for improving the existing economic problems, but the residual was long-lasting: trade deficits, growing federal debt, and the ability to print money endlessly and build a new credit-based economy which is why, unfortunately, we are where we are. The world followed in suit so now we all suffer together. Any investor who has the ability to see the whole picture can see that trouble lies ahead. We have postponed the foreseeable only because China is a partner in our monetary afflictions. China, as well as other Asian economies, is constructing their own debt on the uncertain foundation of the U.S. dollar and when it goes down, many countries will undergo economic downfall as well. How can we somewhat balance the fall? Commodities. Investing in oil stocks is logical, for instance, due to the rising oil prices and as it becomes harder to drill oil those companies that own drilling and exploration operations will benefit. Likewise, it is also in good judgment to invest in other commodities. Future value is foreseeable within the tangible markets and ahead of them all is gold. Historically, monetary policy is a never-ending cycle. Governments overprint money and their currency crashes forcing them to come back to gold, but often at an enormous cost and with significant affliction. We are now at that point once again where reckless monetary policy has made us vulnerable. Investors who place their bets in dollar-based investments are going to bear the loss of purchasing power when the dollar’s value vanishes. And then there are those who will benefit from all the information they have received and make their choices in different types of gold investments.